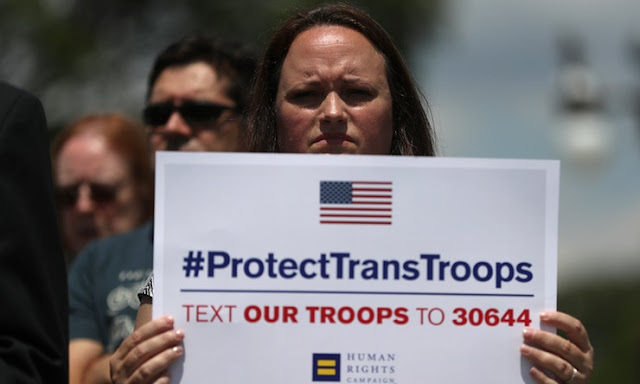 The Republican National Committee has passed a resolution supporting Trump’s attempts to bar transgender individuals from serving in the U.S. military. On Friday, at its annual winter meeting in Washington, the committee approved a resolution expressing support for Trump’s demand that military recruiters consider transgender as “a disqualifying psychological and physical” condition, according to the Associated Press. The resolution states that the RNC supports Trump’s “intent and prerogative to strengthen our military with sound personnel policies,” and asks the Justice Department to appeal recent court decisions halting the president’s proposed ban to the Supreme Court.